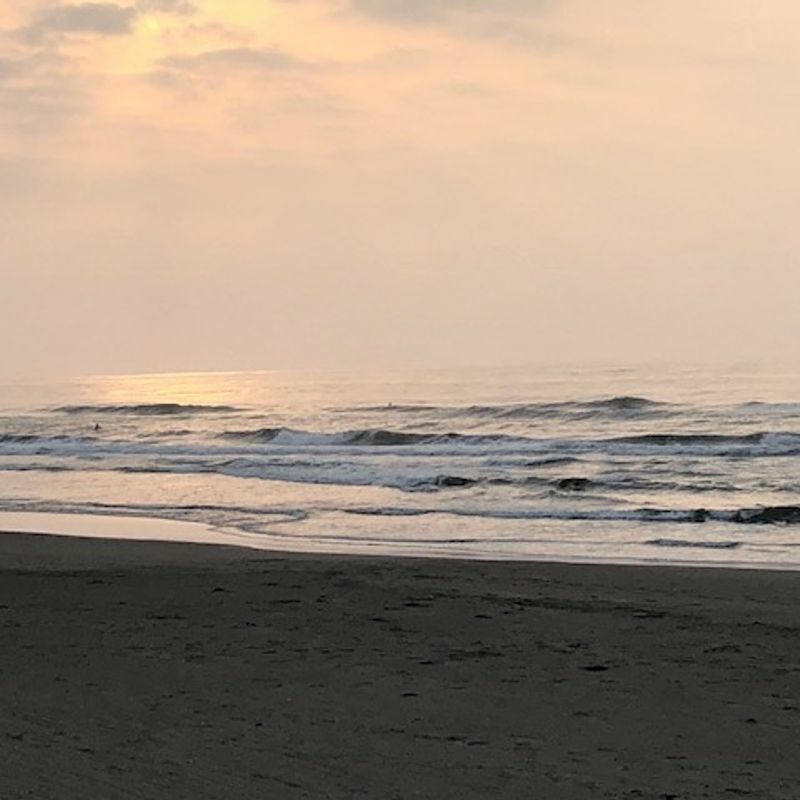 Golden Week marks a transitional period for many surfers in the Tokyo area (and beyond) as the time of year to switch from heavy 5mm winter wetsuits to lighter 3mm jobs. Looking for an upgrade in the current 3mm (which offers more in the way of holes and tears now than it does body coverage) I went into Tokyo and Shin-Ochanomizu's sports stores to pick something out. Keeping a budget somewhere around 35,000 yen pretty much ruled out having a full-order wetsuit -- the equivalent of the fitted-suit. Doing so would have taken the cost to at least 40,000 yen (for one of the home-brand Murasaki Sports 3/2mm). 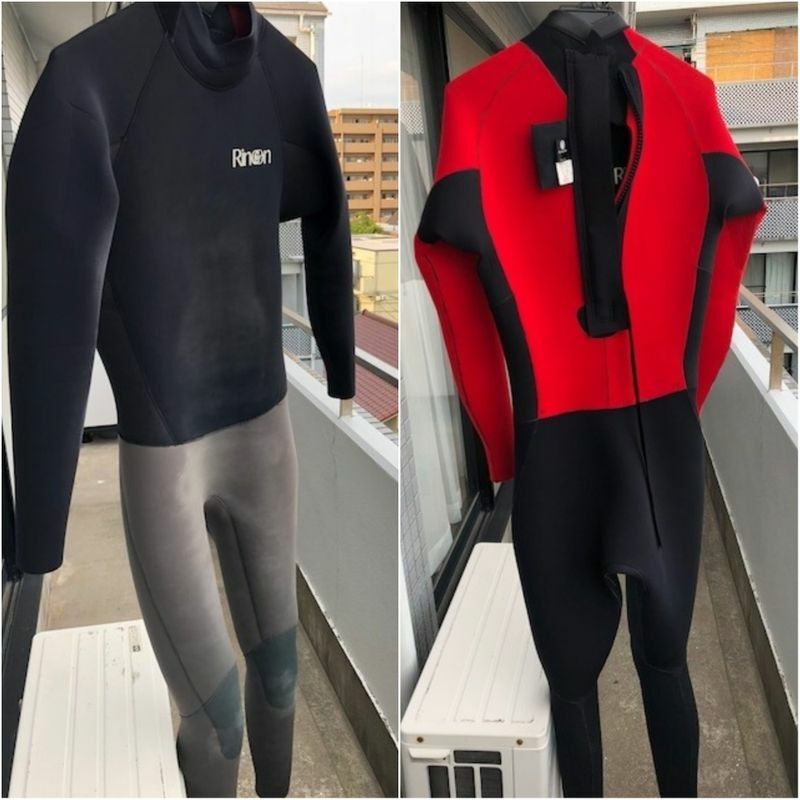 But this highlights the problem I have with such things as (wet)suits here in Japan (which is a problem perhaps many of us expats have) -- I have an awkward body shape / height for the Japanese market. I clock in at around 180cm in height and around 67kg in weight. Basically, I'm pretty tall (by Japanese standards) and fairly skinny (although I prefer the local term, "hoso-macho"). During the wetsuit hunting process here in Japan I was shown many a measurement chart for wetsuits that only went up to 175cm in height (in which case, according to said charts, I should be around 75kg in weight). Well, I'm neither so for me, buying a wetsuit in Japan is just a case of trying my luck out and hoping that things fit. And as it turns out, this Rincon 3/2mm wetsuit fits well enough, even though it is XL (a size which I don't think I've ever had use for until now). This is last year's model hence it was reduced from 33,000 yen to 26,000 yen. 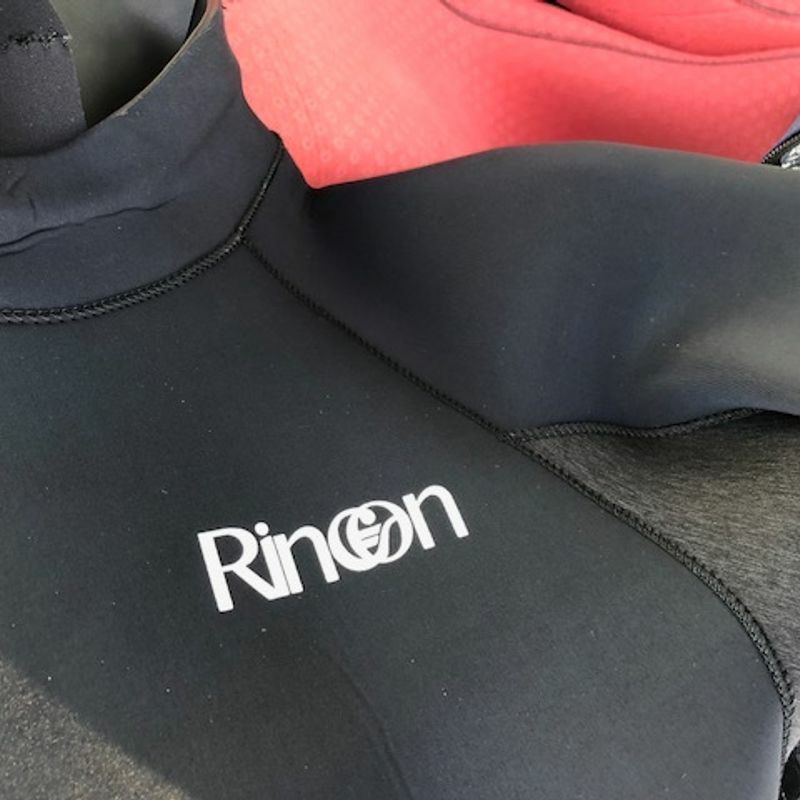 Rincon, despite sharing a name with the classic wave in Southern California, appears to be a wetsuit brand under TOSHI'S MARINE PROJECT CO.,LTD based out of Ebina, Kanagawa. At the time of purchase the shop assistant gave me a knowing nod when he told me Rincon suits are made in Japan, in contrast to the Hurley and O'neill models which I also tried on and are made in Thailand. 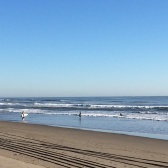 Anyway, at the price I was sold anyway, and as it turns out, after giving the new Rincon a couple of runs at my regular spot in central Chiba coast, I'm as pleased as punch with it. It's light, doesn't strangle me at the neck, and the XL size means I can get in and out of it with relative ease. It's got a regular zip on the back which I guess makes it a little old fashioned in today's desire for the non-zip wetsuit, but I don't care too much about that. The zip doesn't seem like it's going to snag, which is the main thing. I'm not sure how I feel about the legs and the body being a different color, maybe I'll come round to it, maybe I won't, but in terms of performance and comfort, I'm feeling very pleased with my purchase.